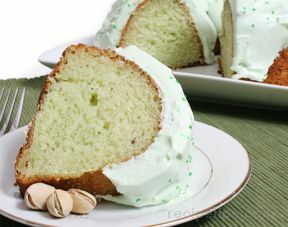 You can enjoy this moist cake any time of year, not just St. Patrick's day. The pudding and soda make this cake light and moist. And the frosting is light and fluffy. For frosting, beat pudding and milk on medium high until smooth, approximately 2-3 minutes. 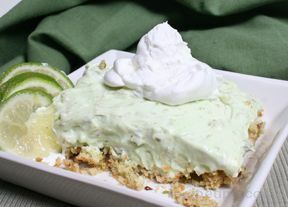 Fold in whipped topping until evenly blended. 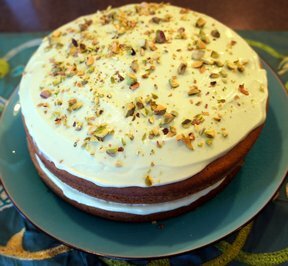 After cake is cooled, spread frosting evenly and sprinkle with chopped pistachios for garnish. 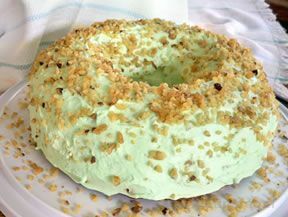 NOTE: If you want the frosting more green, add food coloring to desired color. "My favorite cake! It is so moist!"